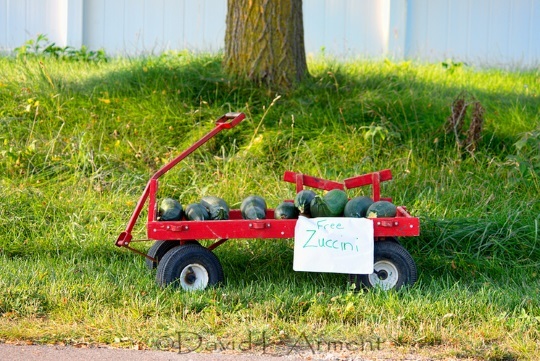 Now is a great time to get produce from Amish stands. 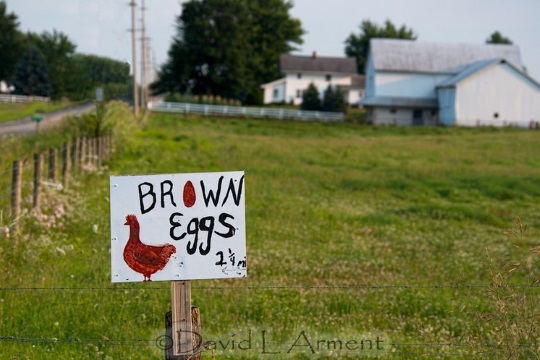 David Arment of site sponsor Arment Photography has ten photos today featuring various foods in Amish country, and the signs which advertise it. About half of these are produce, and half we can just call “other”. I’m not sure all of them are from Amish businesses, but most are. Which shot do you like best? (Update: commenting on this post was accidentally switched off earlier. It is working now, apologies for any inconvenience). 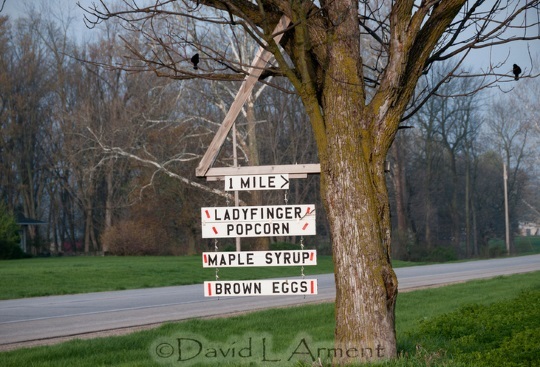 What kind of Amish food signs are you seeing right now? Which are your fresh produce favorites? This is a wonderful time of the year, especially in the Eastern U.S. where the abundance of all the many gardens are coming to full fruition! 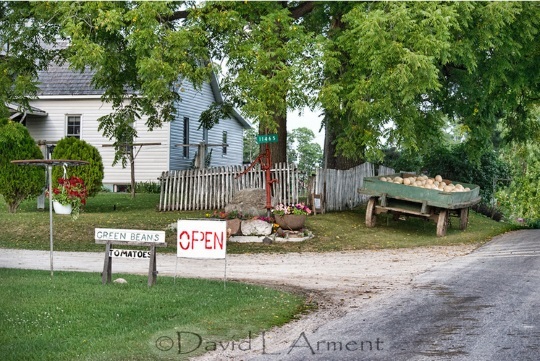 Farm stands, Amish and English abound just about everywhere to offer incredible fresh food for our tables. I’ve cobwebs in my head today for some reason and need to clear them out, I think a drive around the countryside will help and delicious BLT’s with heirloom tomatoes, butter crunch lettuce and homemade sourdough bread can be for dinner tonight after visiting the farm stands along the way. Thanks for the inspiration this story offers to get out, explore and enjoy! I’ll take one of those BLTs Gary 🙂 One of the simplest, best sandwiches. I could go for one with a nice juicy slice of non-acid tomato. 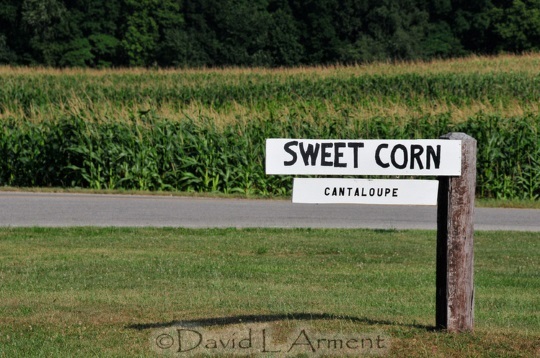 The photo of the “sweet corn, cantaloupe” sign brings back memories of my Uncle John’s “farm” (all of 2 acres he and his wife & kids planted & “managed”, as a hobby). We’d visit a couple of times a summer (about an hour’s drive), and sweet corn & cantaloupe (or better yet, muskmelon) were two of the main crops, along with tomatoes. M-m-m-memories! I needed a smile today, and you gave me one, Erik (& Arment Photography). I just found out I’ll be needing surgery on my right shoulder this Fall (bad rotator cuff injury) which calls for a LONG (12 MONTH) recovery period! I’ll be turning to Amish America for entertainment, education, and inspiration, you can be sure! Hate to hear about the surgery Alice Mary, pre-wishing you a speedy recovery. I love the crisp colors in the first shot. 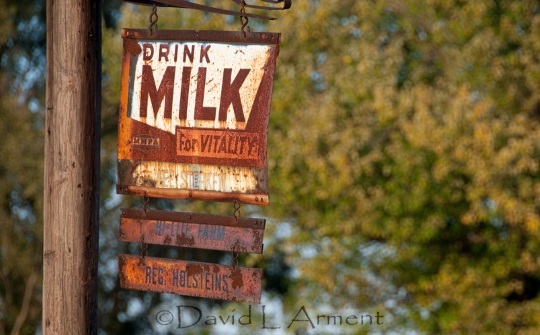 I have a soft spot for rusted old signs so the milk photo is a favorite too. Any Amish farms near us? What are the closest Amish farms to Taylorsville KY, (southeast of Louisville) or are there any? The closest Amish communities to Taylorsville that I know of are at Willisburg, Pleasureville and Campbellsburg. All are small communities. 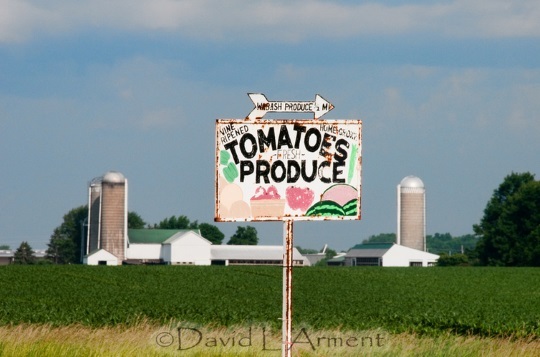 In recent years, the Amish farmers at Campbellsburg have grown much produce and sold it at the produce auction in Campbellsburg, but I think it is now closed, but the Amish farmers may still be growing produce and selling it from their farms. I haven’t visited the Pleasureville community yet, so don’t know about that one. In Willisburg is a good Amish bulk food store run by the Andrew Miller family. I think they make regular trips down to the Amish settlement at Crab Orchard and bring back much produce to sell. Andrew Miller is a good source of information about the newer Amish communities in Kentucky. Sonora would be the next closest and they have also grown much produce for sale from their farms — go west of town a mile or two and turn south and you’ll see several farms with produce. Hope this helps! Thank you Al! Think I will take a little road trip on Saturday. Or, it may have to wait a week. Hubby’s birthday is then. Will Google to get directions! 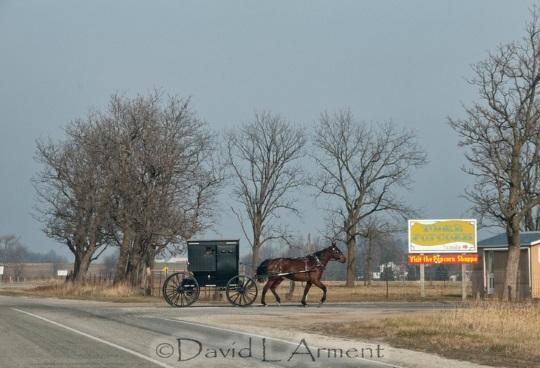 I always enjoy posts about “Food in Amish Country” — especially produce, for it is through buying much produce at Amish farms that I really began to know Amish people. Every summer I make weekly trips to the settlements at Paoli, Orleans and Daviess County, Indiana and buy much produce for a church program in my city. I “follow the seasons” with the Amish farmers, starting with asparagus, broccoli, and strawberries in the spring. Then comes the summer squash, cucumbers, bell peppers, tomatoes, green beans, raspberries, and melons. Then on to the fall with sweet potatoes,winter squash, pumpkins, etc. Can’t forget the sweet corn! The Orleans settlement is interesting. I’d guess there are 40 to 50 farms in the settlement and I am sure at least 75% of them sell produce from their farms. They seem to know what each other has available. 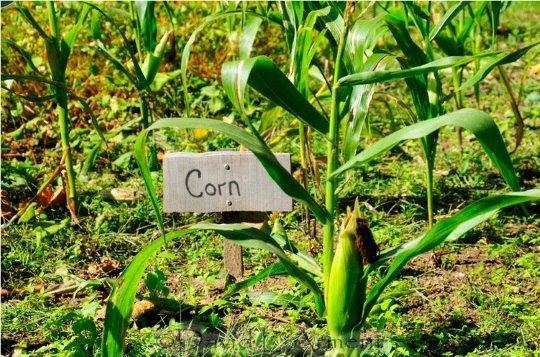 If one is out of strawberries or sweet corn, they can quickly tell you which neighbor likely has some. I enjoy the involvement of all of the members of the family — from the preschoolers on to the grandparents in the growing, harvesting and selling of the produce. Great description of the produce of the seasons. It’s nice to be able to plug into the local network to find out who’s got what. Do you make any wintertime trips? Okay, as I noted in “MacGyver” very odd things are going on. I click on the name of the thread to read and see the pictures in the post for this thread and when I get to the bottom of the thread there is nothing, no “Leave a reply” section, no comments, but I clicked on the “Recent activity” box to see what Al In Ky had posted I can get here odd. Lovely article and pictures though. .. If I scroll back it goes back to Erik at the top of the Recent activities list if I navigate back to the main page and click on the title in the main list. Hi Shom, sorry about that. For a while this morning, comments were accidentally switched off on this post. It’s possible you are seeing an old cached version of that page still. I am not going there, what you might think I’m asking, but are they seriously selling the fieldwork implement the hoe? 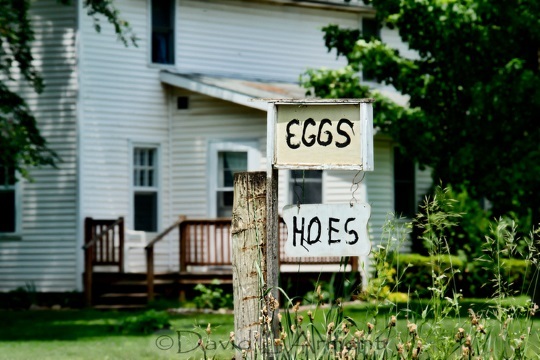 I wonder if they are home made creations, perhaps the farmer is also a blacksmith? I know that once you have a good hoe (no joke) you don’t need a new one for a lot of years. Also, I like the “drink milk for vitality” sign, I wonder how many junk/collectable collectors have approached the owners for the sign itself, for collection sake or resale. I love the green beans and tomatoes picture with the wagon by the roadside. A small Amish stand.